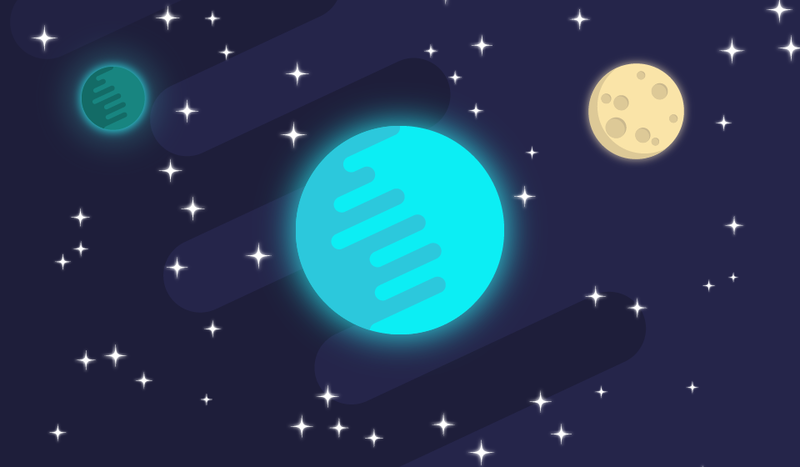 As we said above Meteorsites is a sub-organization of Volex Design based on giving everyone a chance to have an online success. A websites average cost is $2,500 to $10,000. Volex Design has always kept the cost much lower than the rest, and we have always provided much better websites and fantastic results. Although, so many business need a website, and need to get more business but they can't afford thousands of dollars. They also can't afford to buy some squarespace template and take the time to learn how to build it themselves. That's why Meteorsites was born. Meteorsites takes the best from our expert web developers, and the best from online website shopping. 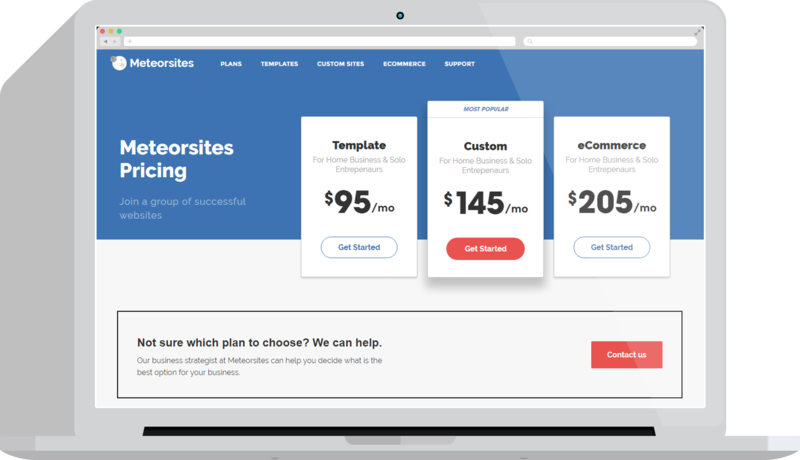 With Meteorsites, you can have the speed and ease of buying your website online, the price of a DIY website, the quality of a web designer developing your website, and the stress-free operation of not having to build the website yourself. 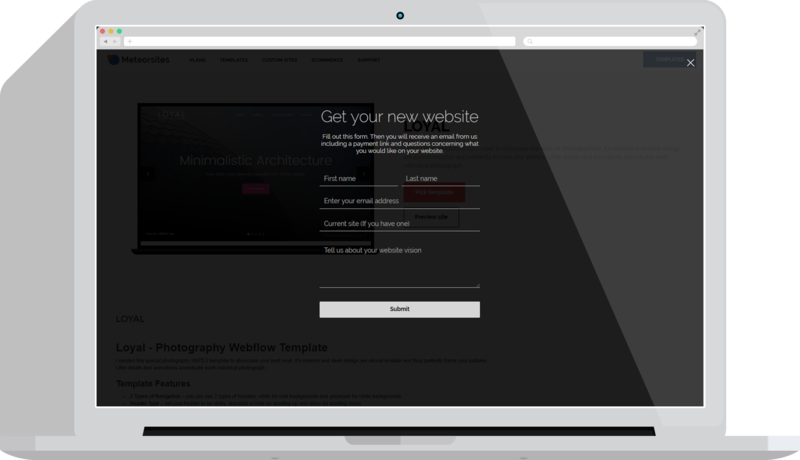 Getting your new responsive website with Meteorsites couldn't be easier. You have the option to choose a template website, custom site or custom eCommerce site. All the website templates will be customized specifically to your business, this is the most affordable option at only $95 a month. A custom website is a website built from scratch to completely represent your brand and separate your company from your competition. Custom websites are the most profitable, and better for SEO and marketing, as well as only being 50 dollars more a month at $145 a month. Our eCommerce websites are by far the best choice for any eCommerce business owner. For only $195 a month you will have a custom made eCommerce website. This is such a big deal because almost every eCommerce website is just an expensive template that costs way to much money, and take a huge cut from your profit. Our eCommerce platform only charges a maximum of 15 cents per sale, and all the monthly costs are covered in the $195 dollars. Choose one of the three plans. Whichever is best for your budget and business is your best choice. A lot of the times, a start up business doesn't need to have a custom website, and it is good to start out with a template website, other times a company wants to expand a custom site is the best marketing tool they could use. And of course, for a successful eCommerce platform we are the best choice. Once you find a template you like, click "pick template", then fill out form. Fill out an easy quick form after choosing your template or plan. Within 24 hours you'll receive an email including your payment link and questions about your upcoming website. In order to ensure you get the most out of your website, we will need information for your website, such as your services, and any text and photos you want to add. After you sign up, you'll receive your email including a secured payment link. Just fill in basic credit or debit info. All our websites come with an optional website editor called a "CMS". It is the easiest to use CMS out there and we will teach you how to edit any content on your site if you'd like! If your looking for an affordable website, or a way to bring in more business, Meteorsites is the way to do it. Our website design monthly plans will be redirected through Meteorsites. Never worry about being able to afford a great website again, go to meteoristes.com.